This week I’m moaning about something that really irritates me, but there’s absolutely nothing I can do about it. You know, in the last patch, when you were running Oondasta on all your alts every week for that elusive piece of gear? Or going to the Isle of Giants on the off-chance of catching Oony and end up being chased by the dino’s there? 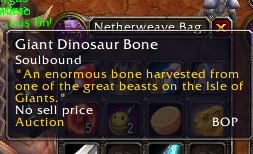 Well, this means that I have accrued over 300 bones across alts when ALL of my bone farming for the mount happens on my main… AND THEY’RE NOT BIND ON ACCOUNT!!! I mean, REALLY?! 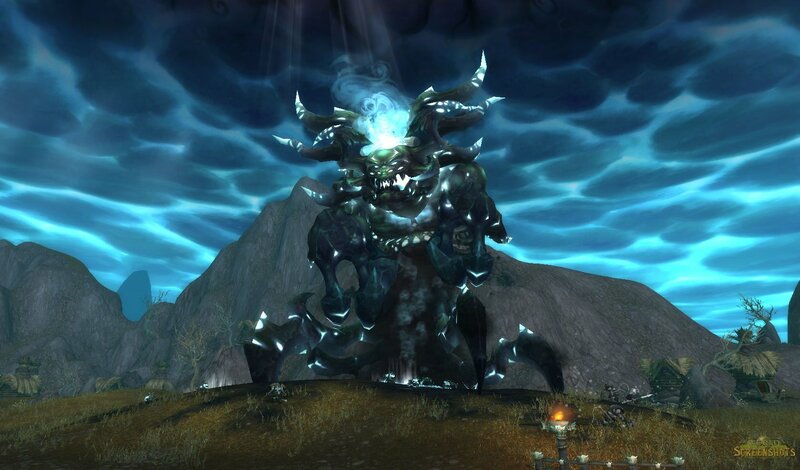 Depending on your group set up (because, as a Mage, I struggle to do it alone), sometimes it would be really helpful to log my warlock for its tank pet, or my hunter for that pet. However, because I spend most time on my main, it made sense to farm them on that. WHY ON EARTH are they soulbound?! What sense does that make?! 67 more bones on yet another alt. You know when you see that little achievement which you haven’t yet done and you think… “oh, easy, let’s do this!” then you realise it’s not as easy as first thought? So, this week I noticed I still hadn’t got my Ring of the Kirin Tor for the achievement of the same name. I’d just got exalted (although you don’t need exalted, you get a discount at the vendor if you are), so I thought I’d go and check it out in Dalaran… I thought I’d be paying a couple of hundred gold. 6 THOUSAND gold later, I had my ring and a right bad attitude. 6,000g for a RING? For an ACHIEVEMENT? I’m obviously a mug. The thing that has blighted my playing time this week is fairly common place if, like us, you’re on a high pop server. Most days, I can only get online after 6pm. 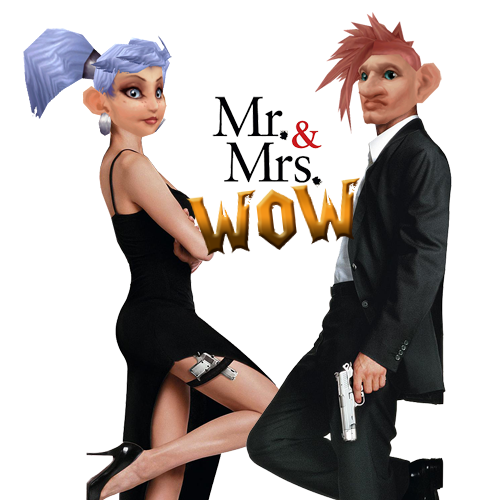 I imagine this is like many other players… and unfortunately, it means that on our server, Silvermoon, queues regularly reach over 1000 people – especially on reset day and at the weekend. So, 1000 people or more reliant on a person to log off, and stay logged off for 5minutes. This means, usually, a queue of up to an hour just to get on the server. Luckily, I have that time to wait when I get home, but what if your play time is limited and you can’t spend an hour of your precious time waiting in a queue? Or even worse, if you can’t get home earlier and it’s raid night? Your whole team has to wait for you to get online through no fault of your own. Many of you reading this will think “why on earth don’t they just move servers?”. Well, cost for one. Principals for another. We don’t want to take the free transfer to a dead server offer they have going on, we like it being busy, but there’s busy and so busy it’s an hour wait. Meh. Yay, it’s that time of the week again! Someone… please, for the love of all that is Warcraft, explain why the flight point to the Timeless Isle is so ridiculously far from the main cities in Pandaria? Knowing how many people would be going there, tell me why on earth it doesn’t have a direct flight point – or even one that passes via a useful town like Halfhill – but instead bypasses Pang’s Stead and Dawn’s Blossom. WHERE IS THE LOGIC???? Disclaimer: this is a rhetorical statement, I know there are trinkets that portal you there etc available for rep… I JUST THINK IT’S STUPID! [AnnoyingPerson2] Louloutte, can you please slow fall me? [NicePerson1] hi m8, could I have slow fall please? 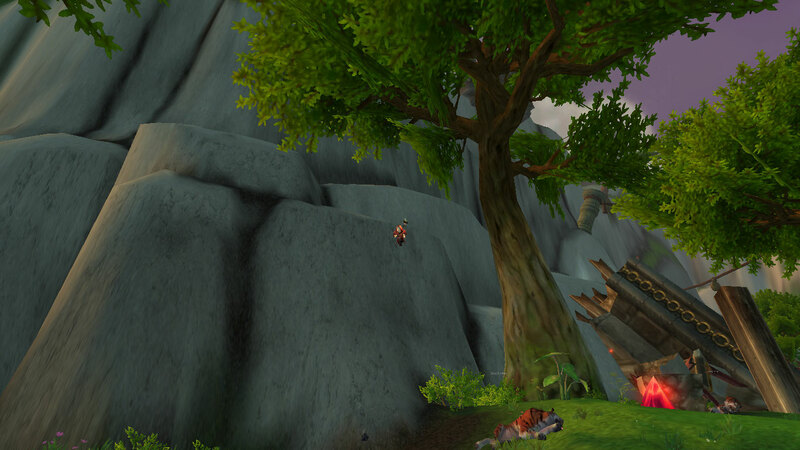 Can you spot the slowfalling mage? I don’t know how people in their right mind think that /yelling or /whispering me with insults or not asking politely will get them what they want. I usually queue for LFR whilst pottering around the Timeless Isle, so to invite people to a group just to slow fall them is not really ideal as it takes me out the group. I also have an issue with people not saying please, or people insulting me if I don’t reply to their whisper straight away. How DARE they call me names just because they’ve demanded something? Only a niggly moan this week, but one which I think can be really easily solved. 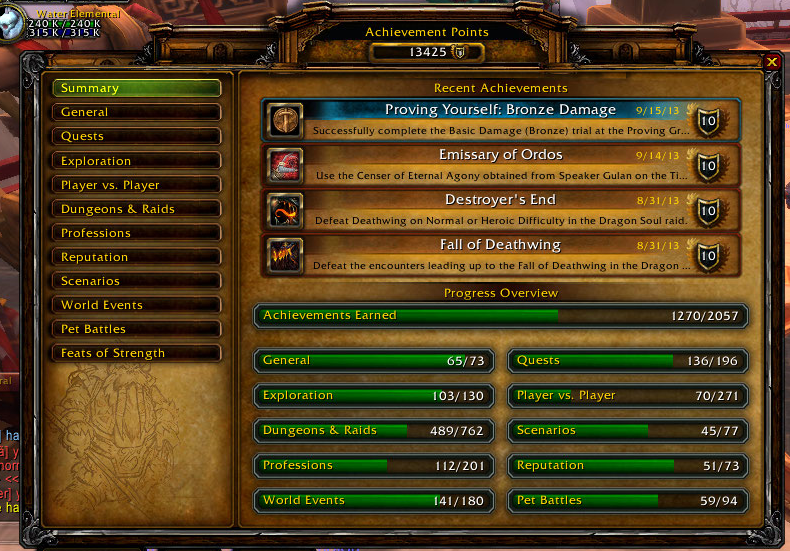 Isn’t it annoying when you’re trying to search for that achievement but you can’t remember where it is? WHY ON EARTH ISN’T THERE A SEARCH FUNCTION ON THE ACHIEVEMENTS PAGE???? 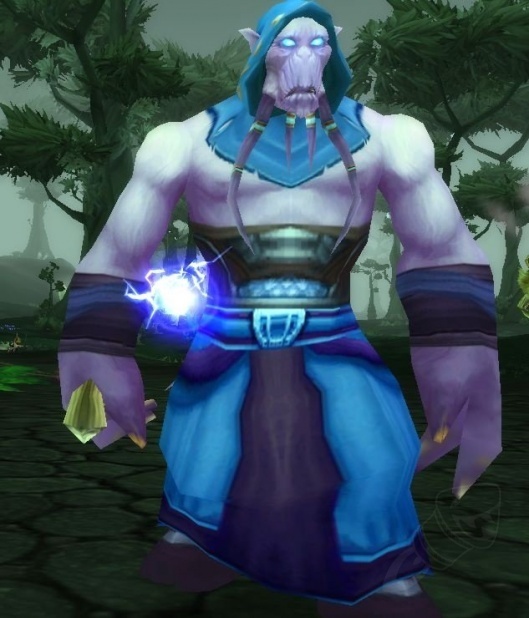 If you haven’t met him already, this is Empoor and he is the elusive NPC you need to find to complete “By Any Means Necessary” – a quest in Terokkar Forest. It has got to be the most ANNOYING quest ever. He only spawns along a certain point on a certain path and it’s so buggy that he rarely spawns immediately. Over the weekend, I spent so long looking for him, 3 pet battles and a cup of tea later, I eventually lost patience and went to another quest hub. One word of advice: apparently walking instead of flying along the road helps him spawn. Didn’t make a difference for me, but then… I think he was a bit of a ‘fraidy cat.